What is easier than an opt in form with email-only fields? A one click opt in form! AKA – a form with NO FIELDS! The theory behind the one click opt in form is that the user doesn’t have to input anything. They just need to click a button. Basically how it works is that the email autoresponder has a “capture email”. So anyone that send an email to that capture email becomes subscribed to your list. The cool way that I’ve discovered on how to set this up with just a button and no email field is to attached the button href to a “mailto:” which will have your capture email address. I show you exactly how to do it in this video. 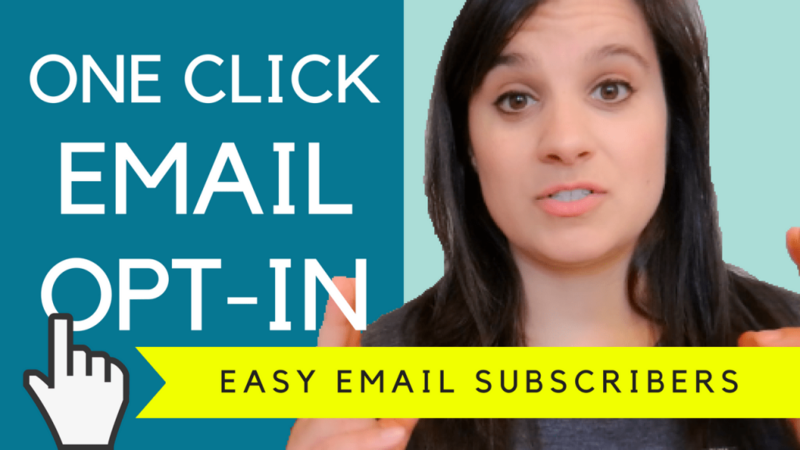 When the person clicks on the button, their default email client will open on their device. The default email client typically has their main email address connected to it. I pre-populate the subject line and body with instructions to hit “SEND” to get whatever you promised them… access to product X or Free X Book. Once they hit send on that email, they are automatically subscribed to your email list. It’s the best one click opt in feature I have come across and I found that it converts at approximately 50%! for cold traffic! I totally understand those people who will go against this method claiming that not everyone has a default email client setup on their device. And while this argument does hold true for desktop and mobile, statistics clearly show that roughly 80% of website traffic these days are mobile. And how many mobile users have an email address added to their phone? I would guess around the same percentage. Those numbers just can’t be ignored and the fact that the prospect doesn’t need to TYPE anything on their phone makes the opt-in process that much more seamless.